When Senior Lecturer José B. Alvarez was the CEO of Stop & Shop, he heard a recurring complaint from customers: The meat quality, they said, seemed to vary by the day. That’s the nature of meat: Nobody in the supply chain can guarantee consistency. But now, as scientists are developing meat that comes from a lab rather than a living animal, Alvarez believes consistency—not the myriad environmental or safety benefits of replacing factory farming—may become the main reason consumers adopt it. 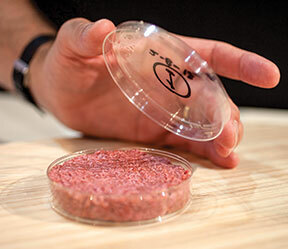 Once a lab-grown hamburger is perfected, after all, it will always be perfect. But change like this will affect far more than your dinner. 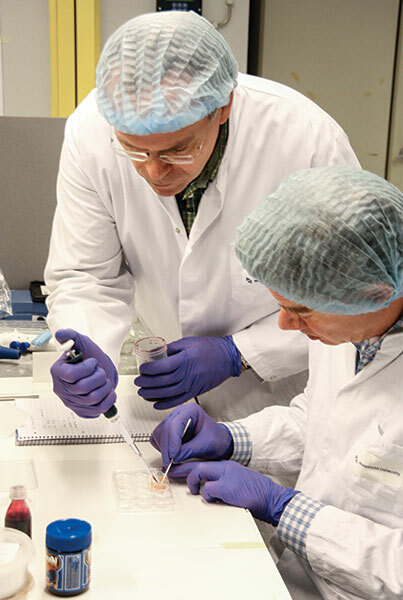 “It’s potentially severely disruptive in that it gets a lot of the current players out of the market and completely changes the supply chain,” says Alvarez, who explores this impact in a new case study about the development of lab-grown beef. In the United States, for example, there are roughly 1 million jobs connected to the beef industry—from companies that grow crops for animal feed to slaughterhouses. And the USDA reports that meat producers created more than $66 billion in added value to the US economy in 2008. All of that would change. What system would replace it? Alvarez floats one possibility: Every supermarket could make meat on premise and then package and sell it. (The meat is simply muscle and fat cells, which are replicated to build the tissue we eat.) A supply like that would have no need for the 30 percent of the earth’s habitable land that is now used to raise or grow feed for livestock. As Alvarez notes in the case, the United States alone is home to 90 million cattle. Each animal creates 65 pounds of waste a day, the processing of which contributes significantly to global warming. 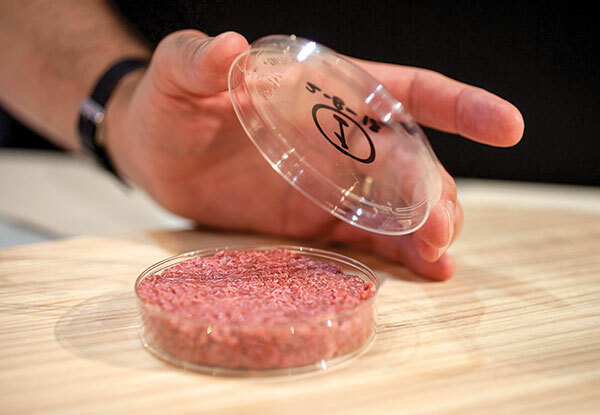 With lab-grown beef, the cells from a single animal could be used to make roughly 175 million quarter-pound burgers, which currently require 440,000 cows.